We live in a rapidly changing society. We face terrorism, moral decline, and rampant violence. Should we resign ourselves to these societal ills, or should be act in response to these intimidating problems? What should Christianity’s response be? Often we Christians do not want to seem pushy regarding our values and our faith, but the world is pushy toward its values onto the Christian world. Society trumpets values that do not speak for everyone, but we Christians lack boldness when telling others about Jesus. On June 28, 2016, dozens lost their lives because of three suicide bombers. The greatest tragedy, however, is that some of them may not have known Jesus before leaving this earth. We cannot change the hearts of people, but God can! He can use us to sound the trumpet, to let people know that He is coming back for those who know him. We should be ever more committed to sharing his word. 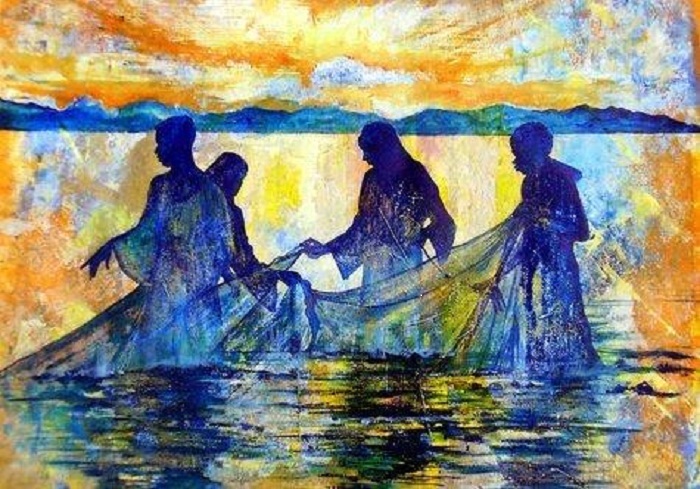 The Bible tells us to remember that “Whoever turns a sinner from the error of his way will save him from death and cover over a multitude of sins (James 5:20).” We must become fishers of men! We must work fervently to preach the good news of Jesus Christ. Our fervency is about giving people hope in a wicked world. Romans 10:14 says, “But how can they call on him to save them unless they believe in him? And how can they believe in him if they have never heard about him? And how can they hear about him unless someone tells them? And how will anyone go and tell them without being sent?” The Christian mission is to preach the good news – death, burial, and resurrection of Jesus Christ. Using the theme of Finding Dory, we must rescue, rehabilitate, and release souls so that they are equipped to do the same. I am reminded about a time in which I was in a car accident. When the fire department of the city of Philadelphia rescued me, I was wearing a tee-shirt that had a firemen’s logo in the upper left corner. On the back it had a picture of a fireman running into a burning building saving lives without getting harmed. The fireman asked me, “Is someone in your family a fireman?” I said, “No. I rescue people from the flames of hell.” How ironic it was to have that shirt on at an opportune moment to be a witness for Jesus Christ! Let’s be colaborers with Christ, working feverishly for the salvation of others. For the Bible says that the night is coming when no man can work (John 9:4). Lastly, the Bible says, “How beautiful are the feet” of those who preach the Gospel of Jesus Christ (Romans 10:15). My goal is not to scare anyone into accepting Christianity, but to help others begin to believe in His name, and to trust in Him. If you are reading this and you not a Christian, please answer the call of Christ. Ask God to forgive you of your sins. For the Bible says, “If you confess your sins, He is faithful and just to forgive you and to cleanse you from all unrighteousness (1 John 1:9).” Let today be a day of new beginnings. For further reflection and edification, read 1 Thessalonians 4. Prayer: God, you are worthy to be praised. Please bless the readers of this post and help us to come into a deeper relationship with you, and unabashedly share the good news of Jesus Christ! In Jesus name we thank you, and praise you for what you will do in our lives. Amen!